Just realized how negligent I’ve been posting my performance videos! Here are two performances of my Bonnie Sans Clyde routine from last year. One was performed at The Federal Bar and one at KingKing Hollywood. Enjoy! I’ll post the remaining performance videos from last year over the next couple of weeks. Has pole become your obsession? Do you wish you could make a career out of it? 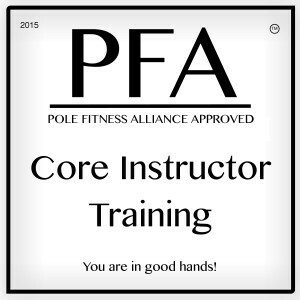 Learn how to become an awesome instructor and get your Pole Moves Certification! I’ll be doing Level 1, 2 and 3 trainings in Los Angeles, but don’t worry if you’re not local. You can also do distance training as long as you have access to a computer, a pole and a video camera. Been teaching for a while? If you’ve been teaching for over a year and your classes have included safe basic inverts, you can “test out” of your level 1 certification by taking a written test and submitting videos for evaluation. For more information on all of these, go to the Pole Moves Instructor Training page.